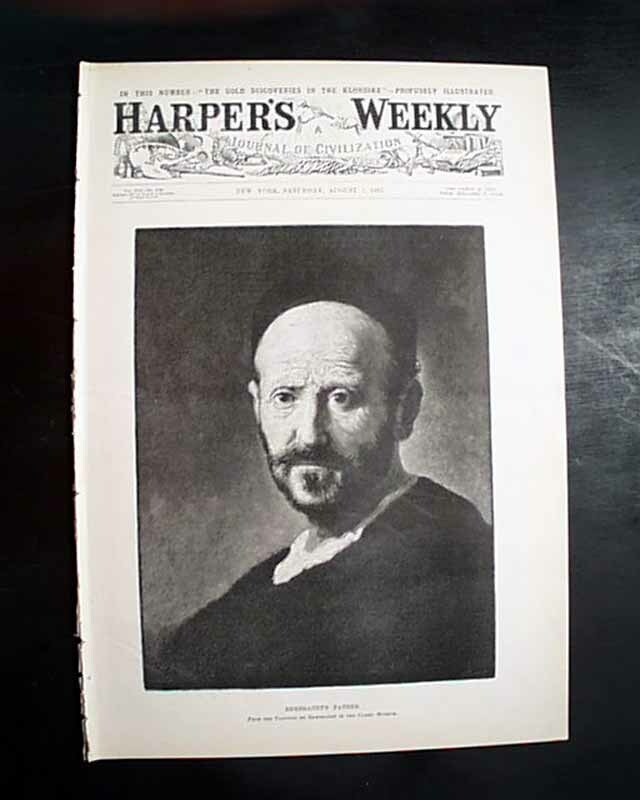 The full front page is an illustration of: "Rembrandt's Father". 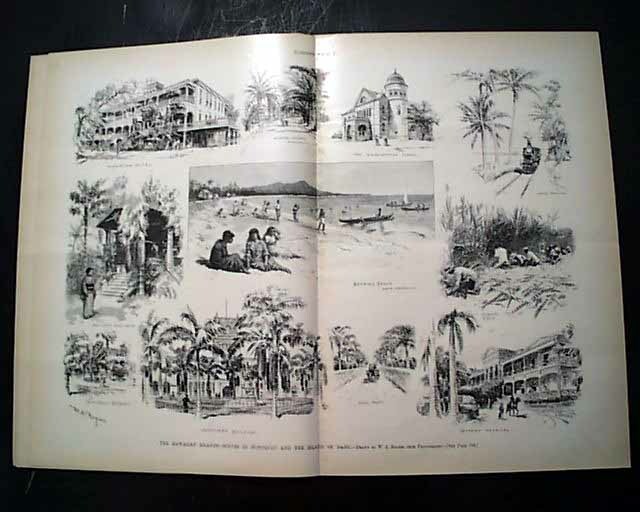 Terrific doublepage centerfold: "The Hawaiian Island--Scenes in Honolulu & the Island of Oahu" with 11 scenes, being very displayable. 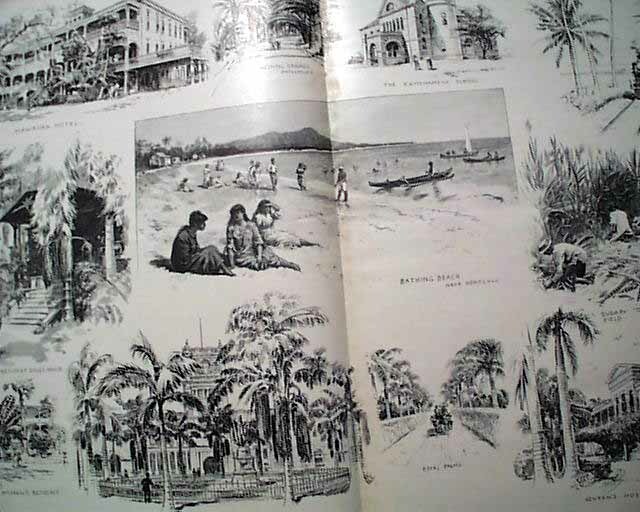 Nice fullpg. 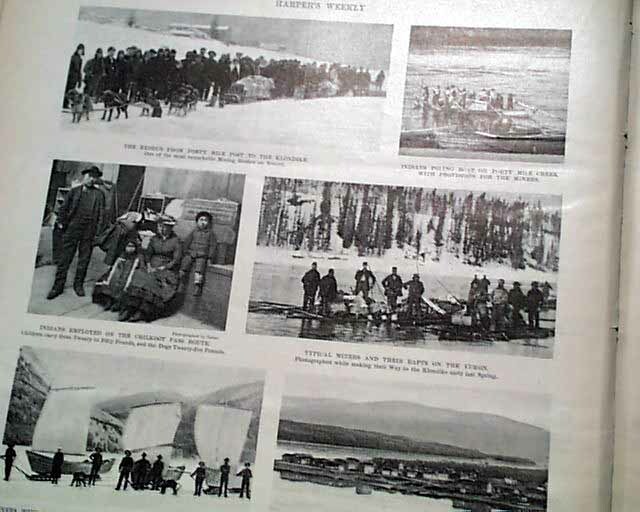 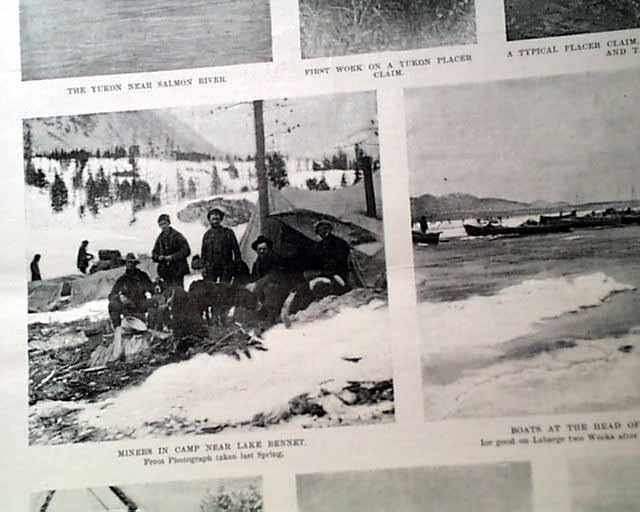 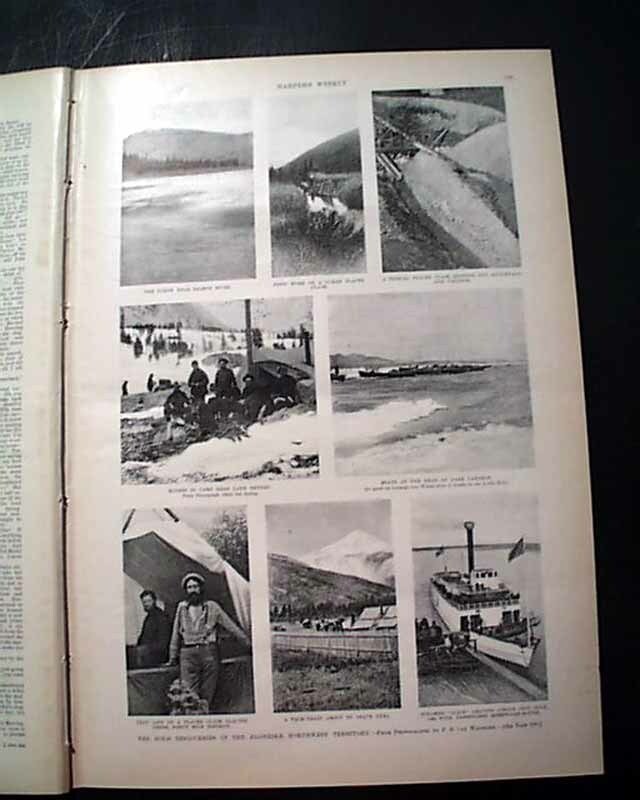 with 8 photos of: "The Gold Discoveries in the Klondike, Northwest Territory" with a one-third pg. 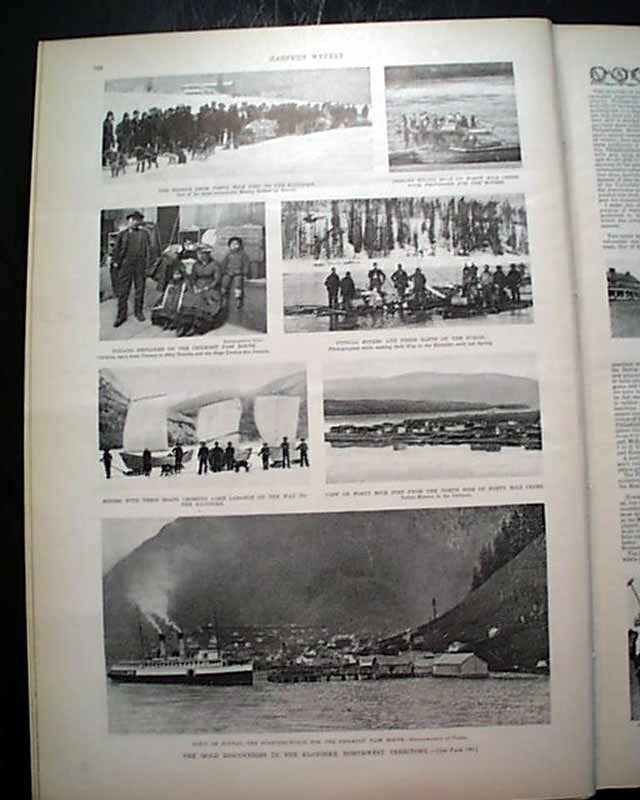 photo of Juneau, Alaska. 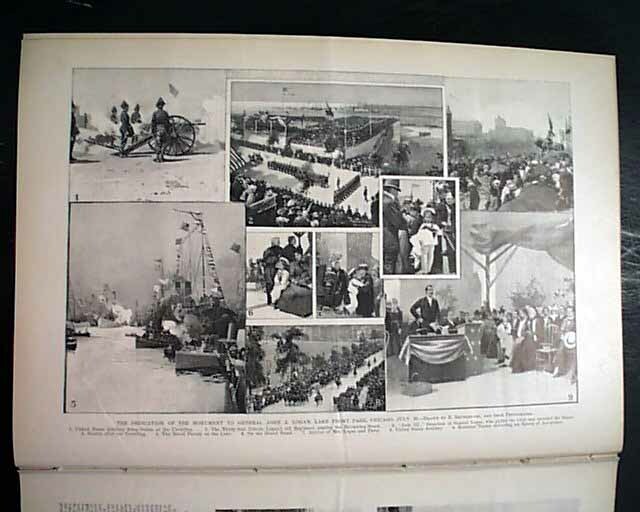 A full page has 9 illustrations of: "The Dedication of the Monument to General John A. Logan, Lake Front Park, Chicago, July 22" plus much more. 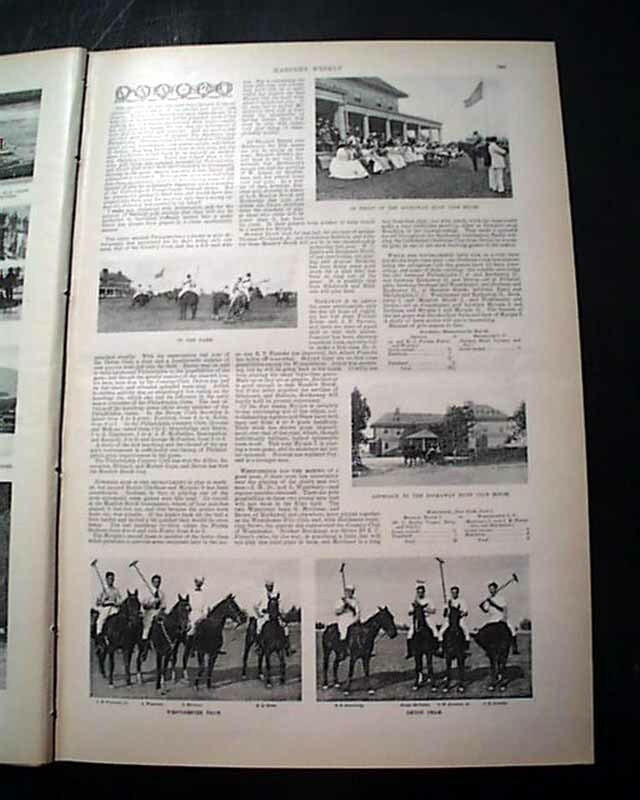 Complete in 24 pages, good condition.